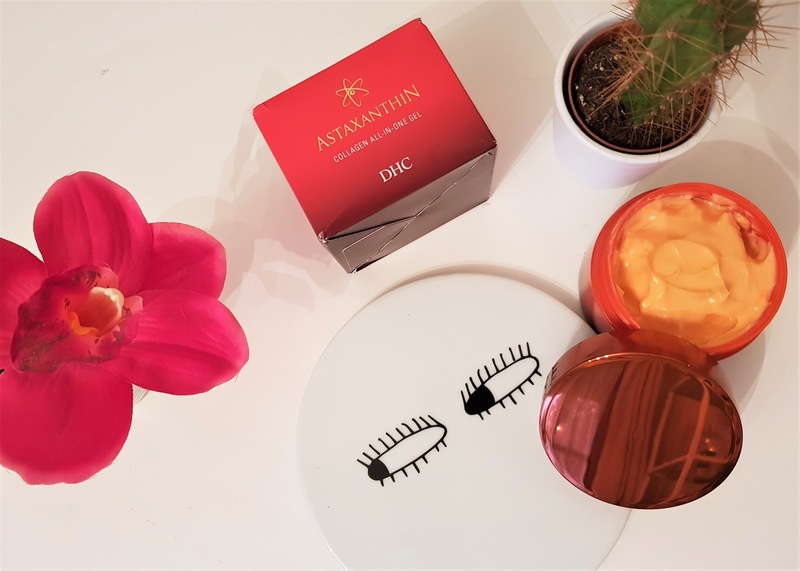 Have you heard of the brand DHC before? A Japanese manufacturer dealing with cosmetics and health food since 1972. 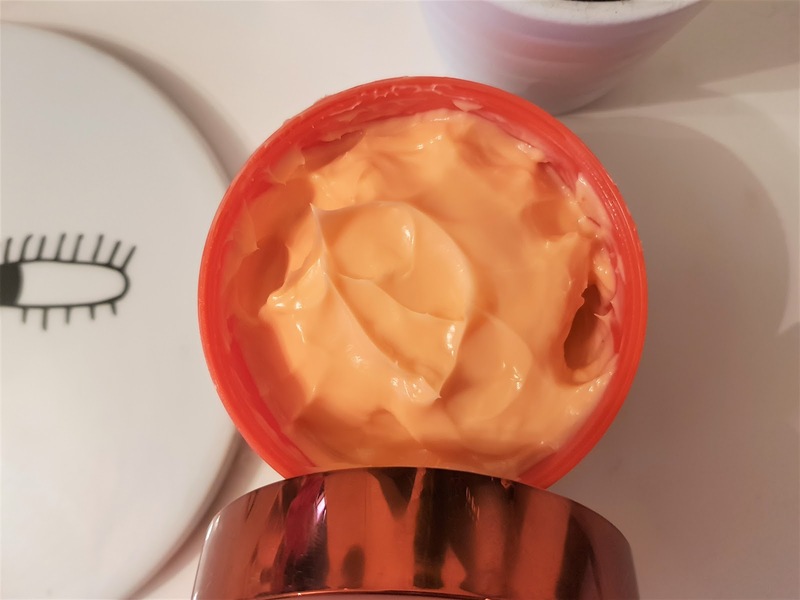 Their beauty products are innovative, and unique! Known as "Your Japanese Beauty Expert" DHC always go above and beyond with innovation. I have ageing skin, it's no lie - I'm 37 this month and I need all the anti ageing skincare benefits I can get. 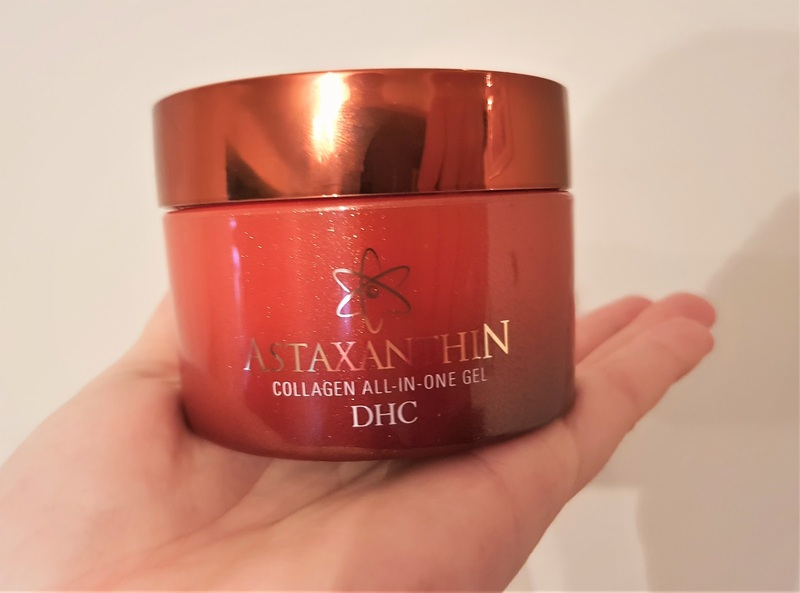 When the team at DHC asked if I'd like to try a collagen gel moisturizer called Astaxanthin that is a new release for the DHC brand I jumped at the chance. 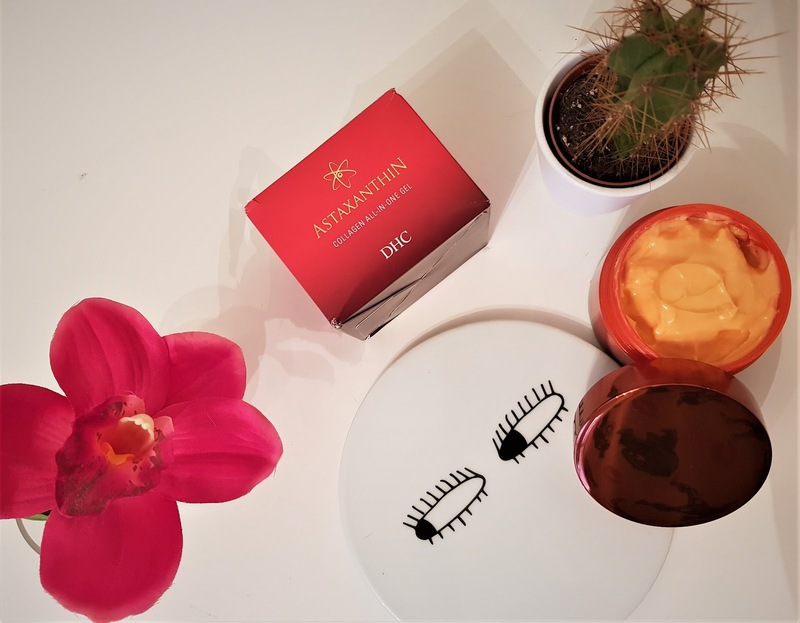 Containing Astaxanthin, an antioxidant considered 6,000 times more powerful than vitamin C.
Also containing Collagen which helps firm, and hyaluronic acid protects skin’s natural moisture. The formulation is sensitive and skin–friendly. 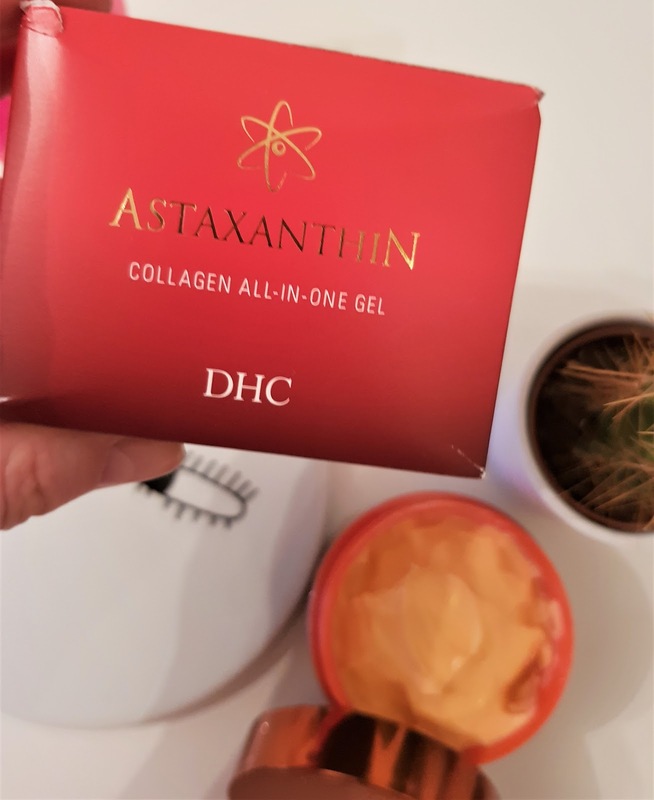 The Astaxanthin Collagen All-in-One Gel is a thick and luxurious consistency. It simply sinks into the skin leaving a velvety texture. 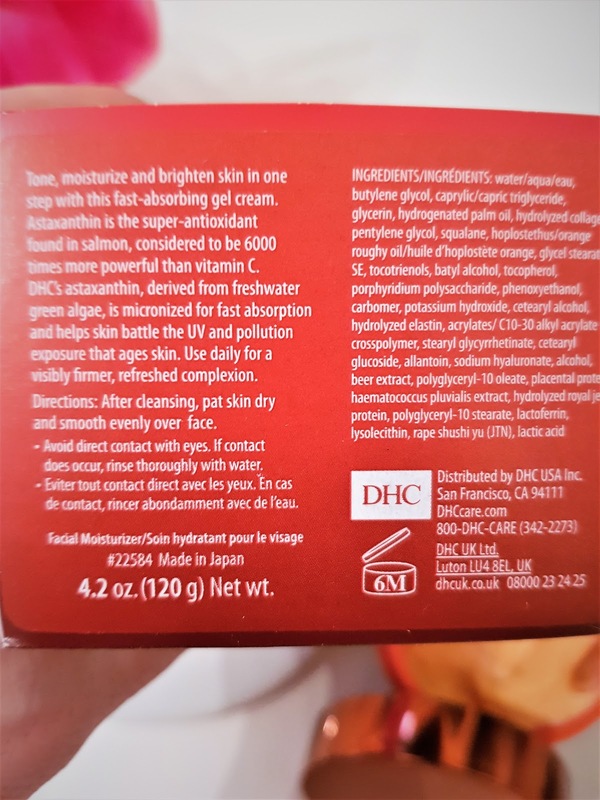 The ingredients once opened last 6 months - so I started to apply a thicker layer as a mask when in the bath and my skin drank the Astaxanthin Collagen all-in-one Gel even easier than normal. 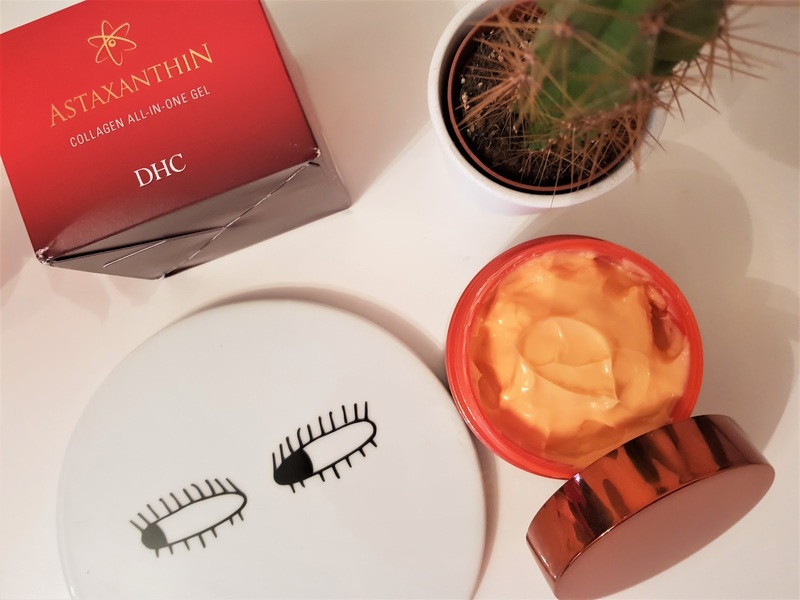 Housed in a red and orange glittery pot - I had endless compliments from friends on the DHC Astaxanthin Collagen all-in-one Gel. People were intrigued on the texture and colour of the gel! A great base for makeup too, the Astaxanthin Collagen all-in-one Gel - is a total all rounder. 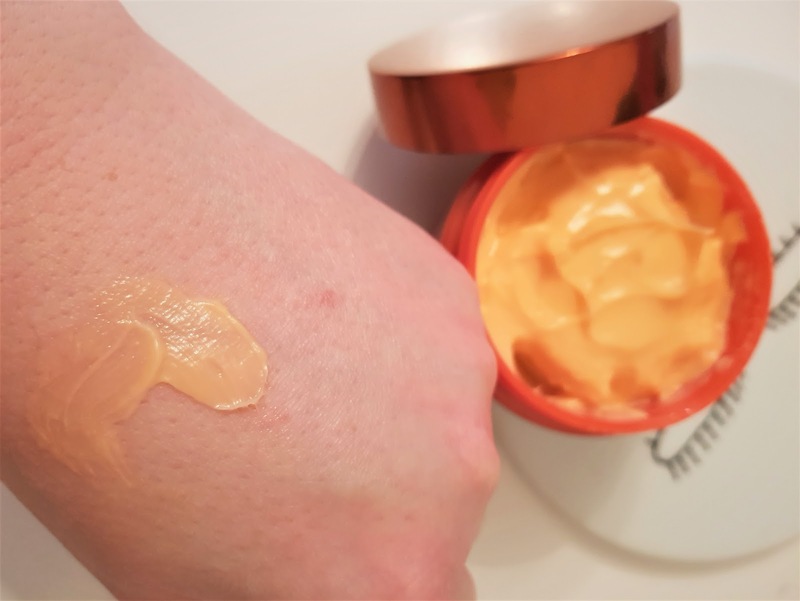 Suitable for sensitive skin, the all-in-one gel also fights free radical damage to maintain the beauty of your skin day after day. So there you have it, a gel collagen infused facial moisturiser that is unlike any other product I have ever used!